Double room with en-suite shower & WC. Spectacular view over the river estuary towards Portmeirion, Tremadog Bay and the mountains of the Lleyn Peninsula. 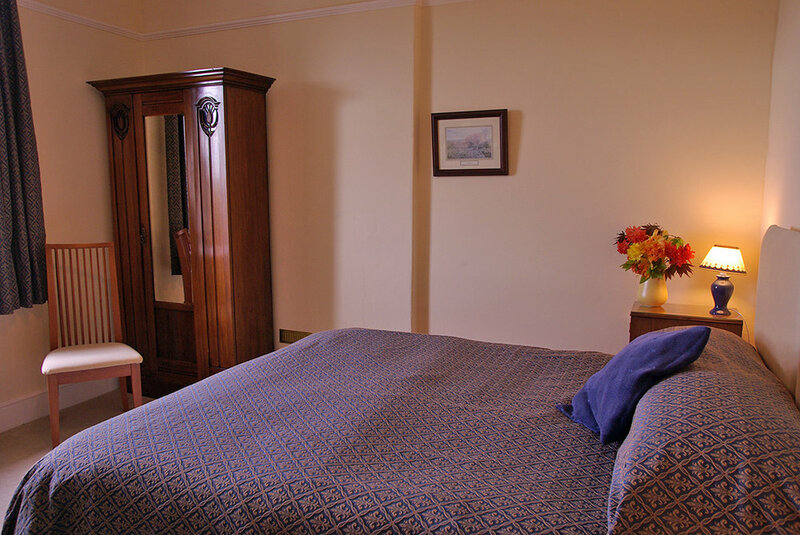 Double room with King-sized bed or twin beds and en-suite bathroom. Spectacular view over the river estuary towards Portmeirion, Tremadog Bay and the mountains of the Lleyn Peninsula. Double room with King-size. En-suite bathroom and view of the garden and mountains. Can be used as a family room.